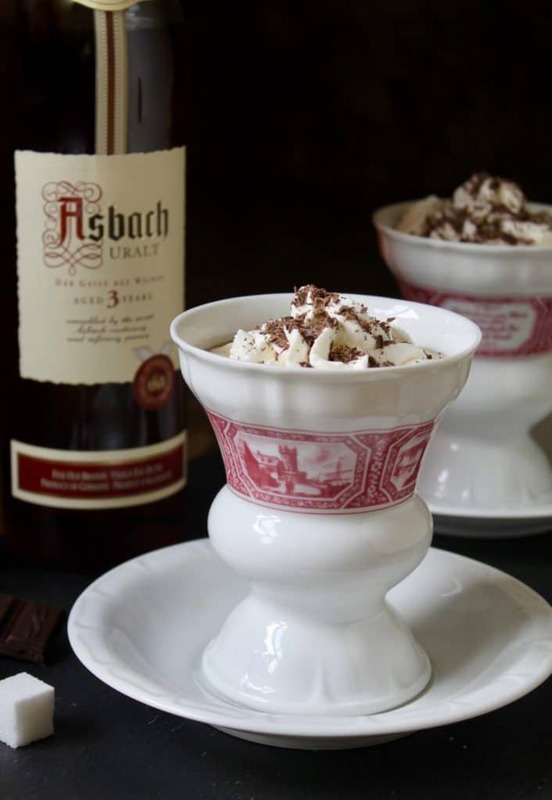 To know how to make an authentic Rüdesheimer coffee with Asbach German brandy and cream, read on. 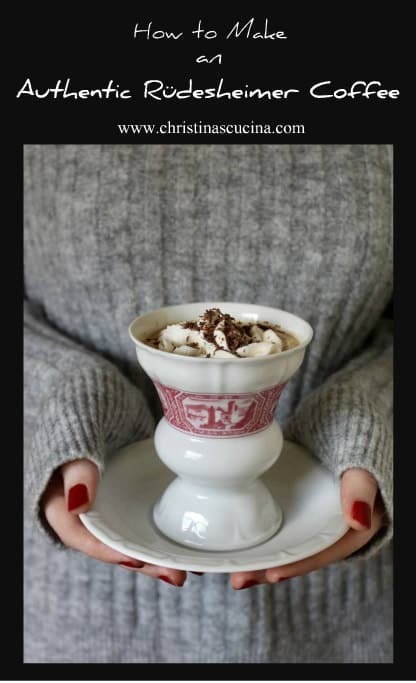 This wonderful, sweet coffee is an iconic beverage to try when visiting the picturesque town of Rüdesheim on Rhine River in Germany. However, with this recipe, you can now make it at home! 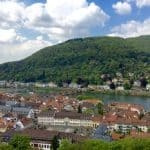 You may remember that my mother and I had an incredible experience on the Enchanting Rhine River cruise with AmaWaterways last year. You can read all about our wonderful European river holiday HERE. 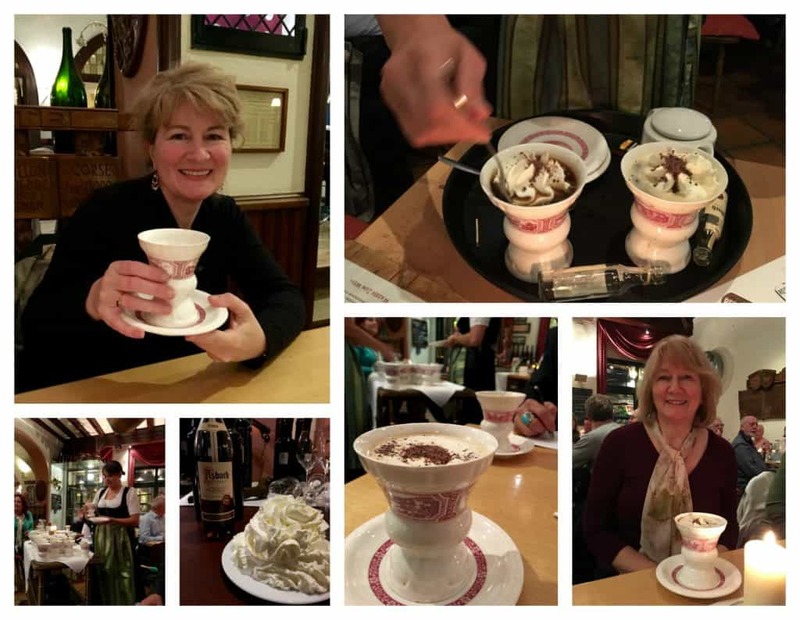 Disclosure: my mother and I were hosted on the AmaWaterways Enchanting Rhine River cruise. All opinions are solely my own. 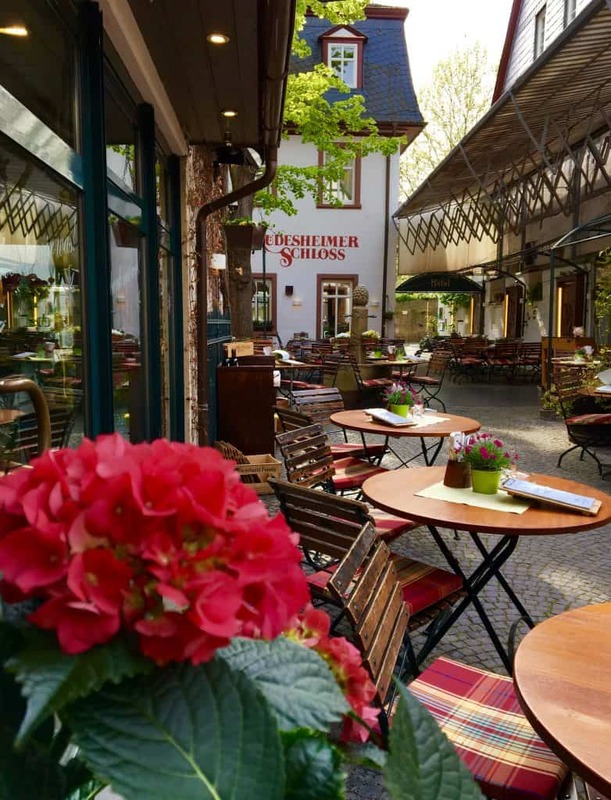 One of the highlights of our cruise was visiting the quaint, cobblestoned town of Rüdesheim. Besides our informational and entertaining wine tasting experience in the afternoon, we had unforgettable evening tasting our first authentic Rüdesheimer coffee. 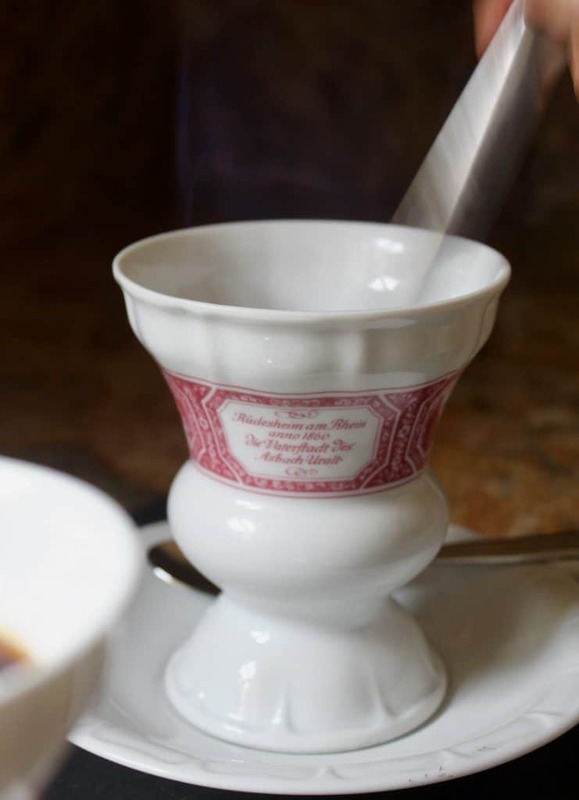 The authentic Rüdesheimer coffee drink was created by Hans Karl Adam in 1957, a German television chef. 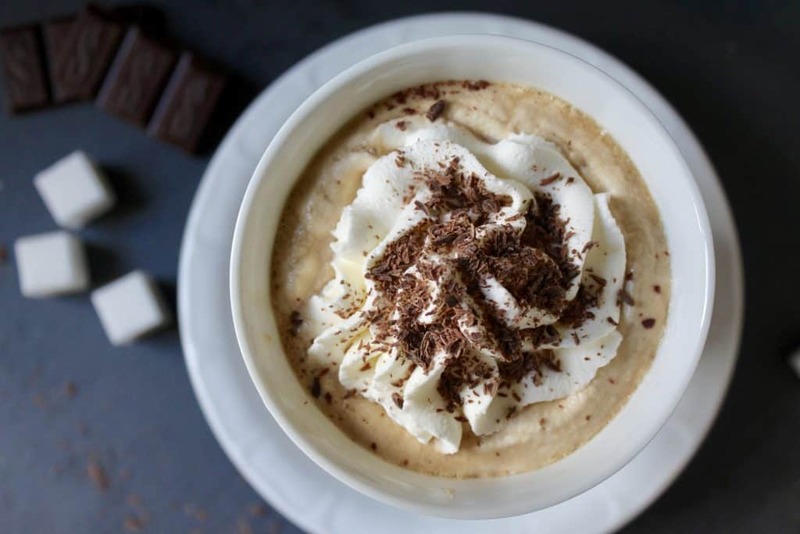 It is a sweet, brand and coffee beverage topped with whipped cream and chocolate. You can read more about it here. How is Rüdesheimer Coffee Made? 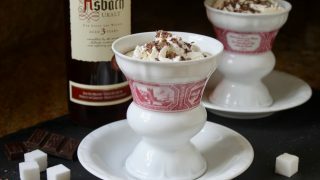 Strong coffee is added next, and the drink is then topped with a vanilla sugar sweetened cream and chocolate shavings. 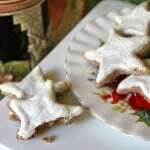 It is a hot and creamy, delicious treat! On our excursion, I loved to see the Rüdesheimer coffees being made right in front of us. Because there was a group of us from the AmaWaterways cruise, it was even more spectacular. We watched as the waitresses prepared over 20 cups at once! 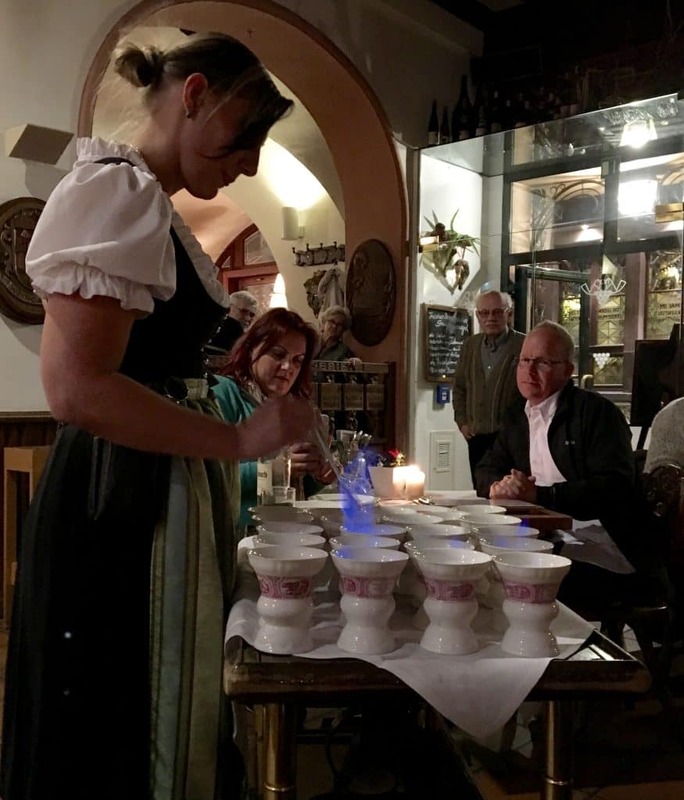 Stirring the flaming brandy in the authentic Rüdesheim coffees. 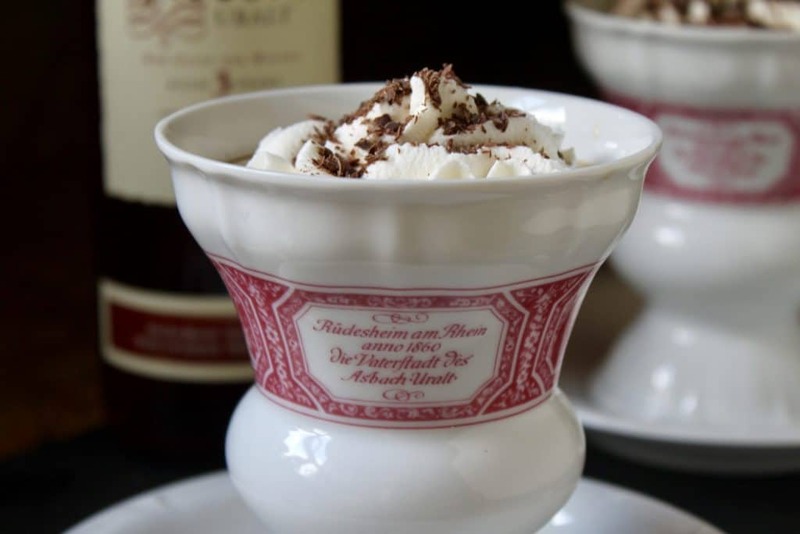 I was so taken with this exceptional coffee drink that I bought one of the special Rüdesheimer coffee cups and saucers online when I came home. When I was visiting my cousin in England, I was so excited to find another cup and saucer at an antique shop! 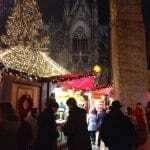 I cannot recommend the AmaWaterways Enchanting Rhine River cruise enough. 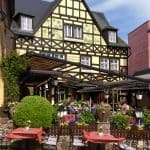 Everything was top notch and all of the excursions, like the one into charming Rüdesheim, were all planned for us (and included in the cruise). 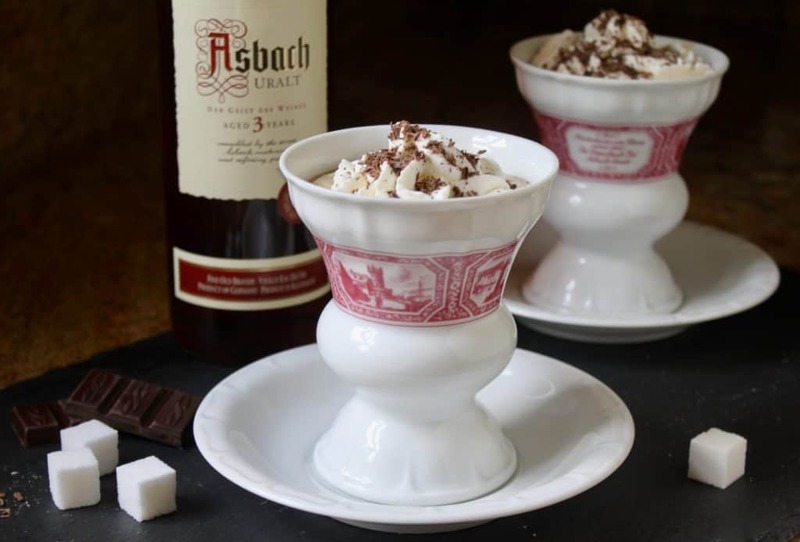 Here is the original recipe, along with step by step photos, for this unique coffee beverage. Place the sugar cubes into the mug. Heat the brandy in the microwave for about 30 seconds then pour onto the sugar cubes. Using a long match, carefully light the brandy in the mug. 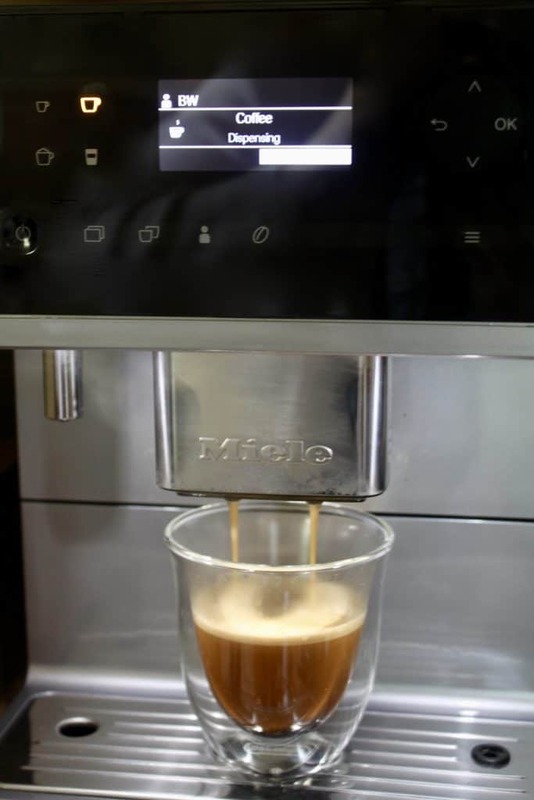 I used my Miele CM6 Countertop Coffee System to make the coffee for my beverage. Did I ever tell you that I won this German beauty in an Instagram contest? It’s a fabulous coffee machine that we use several times a day! 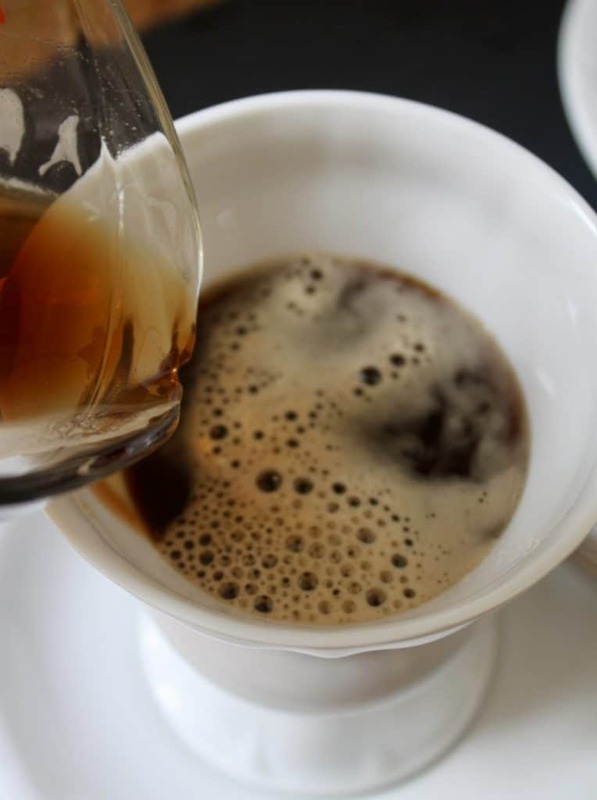 Pour the coffee into the cup with the sugar and brandy. Finally, top with the slightly sweetened whipped cream and chocolate shavings. You have now made an authentic Rüdesheimer coffee! 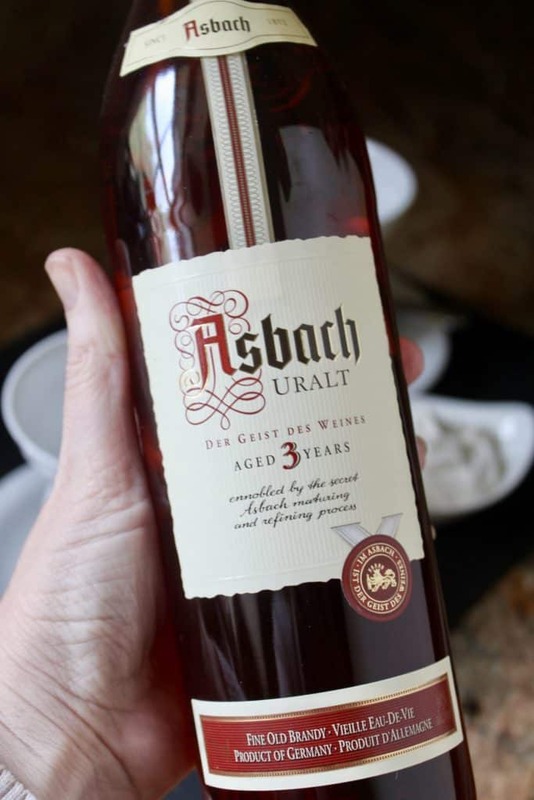 This is a perfect drink to have in front of a fireplace, or with friends and family over the holidays. I hope you decide to give it a try, as I don’t think you’ll be disappointed. 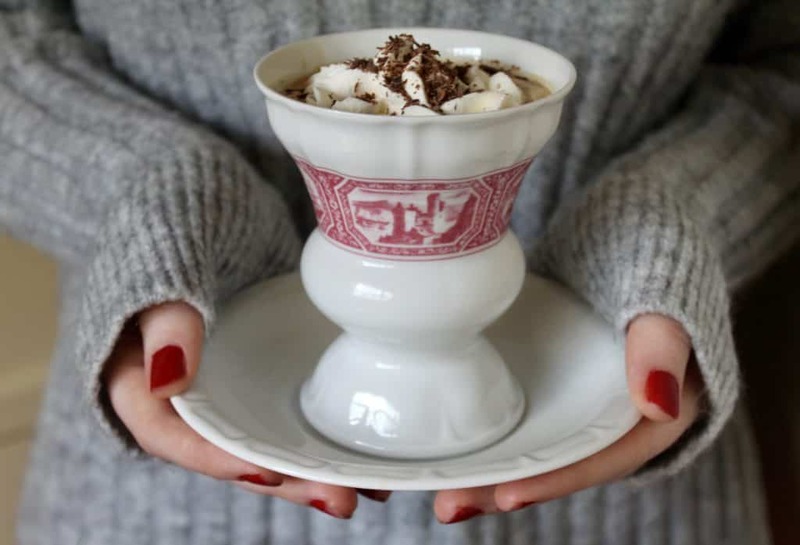 A traditional German coffee drink from Rudesheim. 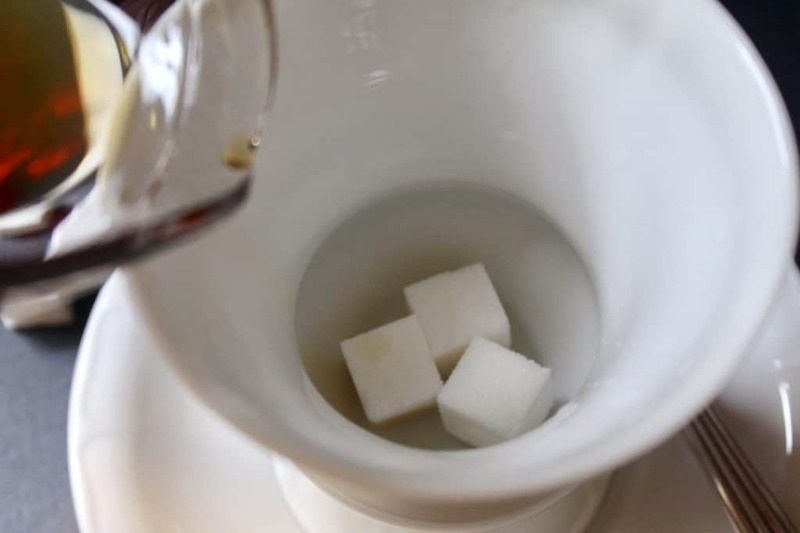 Place the sugar cubes into the mug. Heat the brandy in the microwave for about 30 seconds then pour onto the sugar cubes. 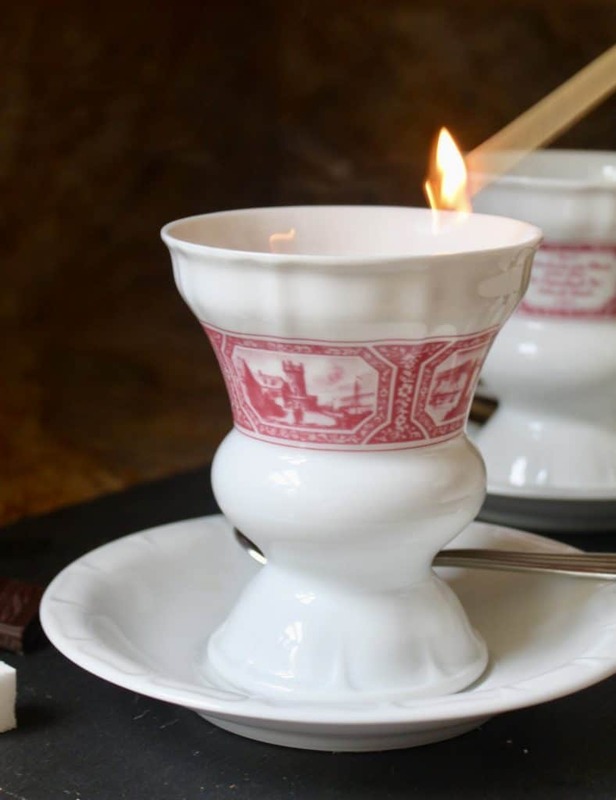 Using a long match, carefully light the brandy in the mug. I bought a set of these beautiful German coffee mugs 34 years ago on a college trip to Germany! I happened to find your article today and learned all about the mugs and the special coffee drink that I need to make. I’m thrilled to have learned the history of these mugs and now I treasure them even more! Thank you! What a festive holiday drink. I want to make this at my next dinner party. So impressive. It is rather impressive with the whole brandy burning part! :) The taste is the best part, though! I haven’t heard of this coffee drink…perhaps because I haven’t gone for a Rhine River cruise. Two things to add to my to do list! Wow! That is a coffee and a half. It’s Christmas in a cup. Have a wonderful Christmas. That’s a great description, although, it’s really good other times of the year, too, Jacqueline! Wow in all my years visiting Germany how have I never come across this coffee?! It has lots of similarities with feurganzenbowle. I will have to give this a go! Merry Christmas! You’ll just have to go to Rüdesheim, Emma! Definitely give this a try and Merry Christmas to you, too! OMG!! This looks incredible and I can’t wait to try the recipe out! 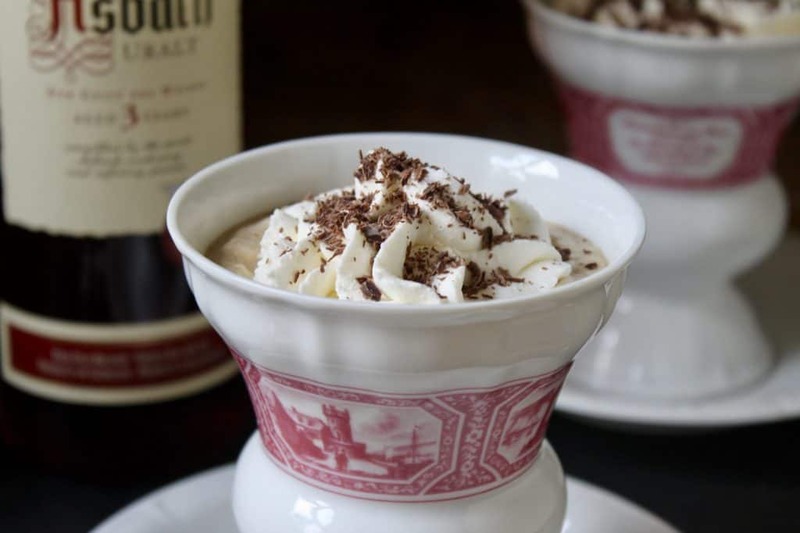 It has been so cold here, I love the idea of a hot boozy coffee drink. We have been thinking about a river cruise. It looks like an awesome time. And AmaWaterways is definitely the way to go! Let me know if you have any questions, Sandi! Thank you so much, Sue! That’s so sweet of you to say and I truly appreciate it! Let me know if you make them, they’re actually both really simple to make! Enjoy! I have not heard of this brandy, but it looks darn delicious and like the perfect drink after going to a Christmas market! Absolutely, but it’s good any time of year, too!